Have you ever heard this before? Your network is your net worth. It’s something that I find people say quite a lot but it always seems a bit of a weird one. I’ve always thought surely the things you own is how to figure out your net worth so what are they going on about? Recently I’ve started to realise that actually the people that say these kinds of things may well be on to something! The definition of a network is a group or system of interconnected people or things. What I am talking about in this post is all about the people you are connected to. I recently heard a story about a man from Malaysia who managed to raise 10 billion dollars from Goldman Sachs. Later $5 billion disappeared… I wonder where that went!! This guy called Jho Low had connections to rich Arab families from his university days in Whorton. He was naturally a great networker and realised how other people could help him but apparently was very good at showing them how he could help them. He managed to keep putting himself between people until he ended up becoming an international financier. This is when he managed to use Goldman Sachs to raise extraordinary amounts of funds from investors. 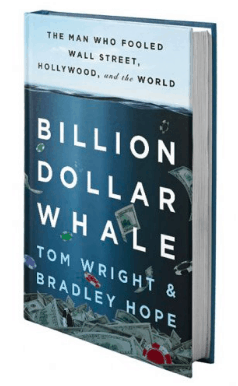 I’m sure this will become a film in the future but you can read the book “Billion Dollar Whale” here. It’s important to remember that we are now in the information age. There are a different set of rules compared to the industrial age. It’s more important than anything else that we have good connections and have meaningful relationships with people if we want to be able to live the lifestyle we dream of and achieve the things we’d like to in life. This is the main way to build your network in the information age. It’s never been easier to join a “community” of like-minded people by just searching for a group on Facebook! The key here is to actually engage though. If you join hundreds of affiliate marketing groups and then never read or write anything useful in them, then you have wasted your time joining them. But how do you find out who is genuine and who are novices? Simple!! Ask questions. I used to set myself small targets of posting or commenting on one post a day in certain groups. Just doing this for a month you will see who regularly engages in the community. The key now is to filter out the people that are either too negative or don’t really know what they are talking about. Sending these people a private message to ask about something in more detail can really help to start building that relationship. However, the relationship doesn’t really start until you make time for them either on a phone/ skype call or ideally meeting up with them in person. I live in Qatar and I still regularly speak to great people that live in the UK using the power of the Internet! Build your own personal brand! This is really just an extension of social media. This is something that I found particularly hard to understand initially (and still do find it a bit weird!) But you are missing out on so much potential if you don’t do this! Just put yourself out there on videos and social media and people will start to feel like they get to know you. 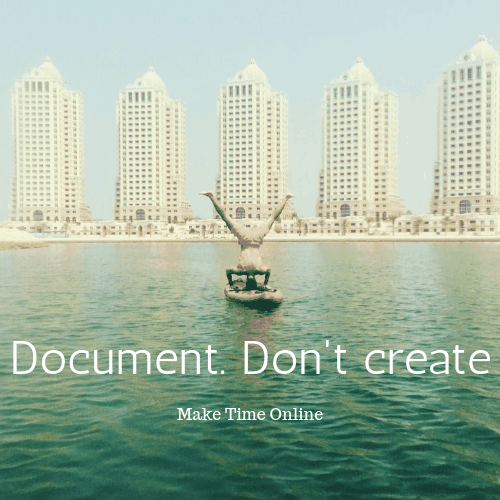 You don’t need to spend additional time doing this, just document your own life. People will be interested in certain things that you do and you’re building trust with all the people that follow you in one go. Don’t pretend to be someone you’re not because this is so obvious, just be yourself. There are loads of free seminars for all sorts of things all over the world. Sarah and I went on some property courses in the UK. We went to some free ones and even here you get to meet like-minded people in the same room. You don’t have to be really extraverted or weird to make a connection it’s easy enough just to talk to the person sitting next to you and learn a bit about them. We went to free property meetups every month and have recently found a meet up in Qatar. These are great ways to meet people that are often doing something similar to you or something you would like to do. It’s also great to get different people’s points of view particularly if you have a problem that you are trying to solve. This is one of the easiest ways to “rub shoulders” with some of the world’s greats. If you’d like to learn from Elon Musk, read his autobiography! If you’d like to know how to start numerous successful businesses, then read about Richard Branson. This is one of the ways that you can find out invaluable information from some of the most successful people in the world by just reading a few pages of a book each day. The main thing for any of these networking methods is to be consistent. If you are all over a facebook group for one day and then don’t look at it for the next month, people will not remember you. If you attend a meetup once it’s very hard to make any meaningful relationships within a few hours. You must be consistent and stay in touch with people that you speak to. If you want to learn more by reading it needs to become a habit, not just something that happens for 2 weeks each year on holiday. It’s not about getting thousands of followers on any social network. It’s about making meaningful and good relationships with certain people. The key here is to decide who you would like to spend your time on. There are so many people on social media that it’s impossible to make meaningful connections with all of them. However, when you find someone like-minded and you believe you can learn something from then (but also contribute to their life) then it’s important to foster this relationship! It’s way more important to have good contacts over loads of average ones. For example, if your best mate was Richard Branson I’m sure you could find a way to fund your new business idea providing you can show him how it would work. You could also probably get some support in ensuring it was a good idea in the first place. It’s also important to realise how connected you are to these people. If you would like to gain experience from someone but you only speak to them once then you won’t get anywhere. Equally, if you speak to someone that you think you could help out or put them in contact with someone else that could help them then do it! These relationships are a two-way street! Something that I am starting to learn about when using affiliate marketing is that it doesn’t matter how much content you create. Or how much time you spend on your website. Or how often you comment back to people that visit your website. None of this matters if nobody reads your stuff! You’re not making a difference to anybody else or adding any value so you will not get anybody to click your affiliate links let alone use them! Having a good network around you helps to stay realistic, know what to expect and leverage other people’s networks to grow your own. This is something that Wealthy Affiliates are great for! The community is so helpful and there are people that you can speak to who have been through what you have but have come out the other side. There are also people in the community who are earning more money through their website than you ever imagined possible! Click here to find out more. As you can see your network is worth a lot more to you than what most people think. It’s easy to be caught up in your own busy life but unless you are nurturing and building relationships with the type of people that you would like to learn from or be like, you will never change. There is no excuse to not build your network and particularly develop some great relationships with people that are doing what you’d like to be doing. Social media makes this super easy in today’s world and if you’re not using any platforms you’re missing out on ways to instantly change your life for the better. If you have any ways that helps you to build your network please let me know in the comments below! 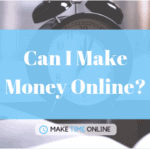 If you are interested in making money online to free up your time, have a look at my #1 recommended program here. They do say that you become the “sum” of the 5 people you hang around with the most. If I could choose, I’d hang about with Elon Musk, Warren Buffet, Bill Gates, Richard Branson and…hmmmm, maybe Mike from https://maketimeonline.com ? Great post, I agree with all of your points. Which 5 people would you choose to hang about with, so that their habits and knowledge could rub off on you? That’s a question open for anyone here reading the comments section on this post. Elon Musk, Richard Branson, Gary Veynerchuk (however you spell that), Robert Kiyosaki and I guess Jimbo from beststayhomejobs.com!! 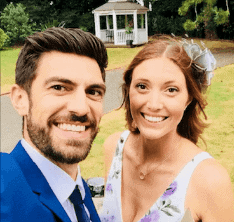 There’s a lot more people I would love to add to that list Anik Singal or Kyle from Wealthy Affiliates would be good ones for an online business, but I’m “meeting” more and more amazing bloggers and people that are crushing it online. It’s like a whole other world out there. Who are the most “successful” online marketers you have met/ liaised with? I’d say Michael Cheney, Kyle at WA, Carson (if you can count met online as “Liaise”) that is. Michael Cheney, by the way, is from York city in England, which is exactly where I come from too. Small world. I only found out he was from my hometown a couple of weeks ago. He lives in Scotland now though. Michael Cheney’s been in this affiliate marketing game for about 20 years and makes a good few million a year. He’s also got a huge email list built up. Kind of list you mail something out to and make $10,000 in one day. Don’t quote me on figures though. Wowza that’s impressive!! I’ll definitely have a look at his stuff then. I’ve heard York is a beautiful place. I’m from Essex originally, so not too far in the grand scheme of things! Great article Mike! I think that developing Network online is very important if we want to build our brand and authority but I must say that it is not that easy either. I like to use social media but sometimes it is hard to connect with the people in the same niche. What you think about PPC ads? Is it worth it? I used to think exactly the same. What I have found though is that there is always a place where your target market/ niche “hang out”. For example a lot of bloggers are on Pinterest. Work/ business related people are on Twitter/ LinkedIn. Instagram tends to have younger people on it…. you just need to try different platforms and figure who is where. Facebook still tends to have the most monthly users and has so many different groups it’s a great way to join a group and comment on it each day for a month. You will quickly learn who knows what they are talking about and who is just there for the ride. Once I find someone that is doing well in my niche I will message them and take interest in what THEY are doing, then ideally get a phone call/ skype call with them. It’s not super easy but the right thing to do is rarely easy! PPC ads seem to be a great way to boost traffic once you have tested out a product/ affiliate link. Doing it blindly when your starting is a way to burn a lot of money because most adverts people see won’t get sales. Do you use social media much? Hi. This is a great insight about the meaning of the good network. I agree with you that my network is my net worth. Also I agree that quality over quantity. It is easy now to communicate with people around the world because of the internet technology. And it is possible to get money from other country via PayPal. So it is important to get the engaged network. We can not imagine this phenomena a century ago. Thanks so much for your comment, you are so right. Technology is completely changing the way business works and it seems like the internet is not going to disappear and time soon! Online payments are becoming easier and easier with Paypal and cryptocurrencies so it makes sense to have ways to receive an income online. Great Post! I think that what you have said is right on the money. Making real connections with people is actually the key aspect of your business. You can have tons of traffic, but if your readers don’t trust you, they will never buy from you. I think that is a very important fact to remember. I will be working towards quality relationships over quantity from now on! It’s all about quantity. We only get this by really taking an interest in helping other people. What ways do you finding helps you to network? Hi mike. This article is very true. You definitely need a network group if you want to make it working and earning money online. The thing I’ve noticed is that it takes time to build up followers and a network If you go chasing people they won’t be interested, they have to find you. Do you think is is right? People need people as we love to communicate with each other. I am only 4 months into blogging online so only have a few in my network . I used to think exactly what you said… wait for people to find you. However, I 100% think the exact opposite now. Especially as a new online business.Nobody will find you and if they do there’s a good chance they won’t be the people you’d like to find you. A great way is guest posting but to do this you can offer to share their work and maybe affiliate their own course/ product. There’s always something you can offer to someone else but you need to show them what this is. Indeed, by knowing the right people you can do a lot of things, if it is with money or something else. People who are good at networking are obviously at the advantage, however, it is something you can learn. By reading your post by example, people can understand how to build it up and also make money because of it. I love this post because you explained everything so well! You’re so right that networking is something we can learn. It’s a skill just like anything else. I’ve heard so many people say “I’m not good at networking” or “I’m too introverted to network” but I don’t think this is true for anyone. Some huge names such as Elon Musk or Bill Gates are examples of how people can learn and improve his skill massively over time. How do you network with people? Thanks so much for your feedback! I hope it helps in the future. From the moment I saw your website, I was hooked to read your content. There is one internet marketer that we have in common: Anik Singal. He used to email me regularly to buy products from him. 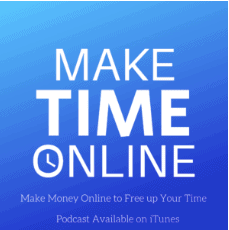 One of my favorite online money makers is Stephen Pierce. In 2009, I went to a seminar that was hosted by an online marketer. That’s how I met some of the best online marketers of that time. Yeah, Anik Singal is a great email marketer and I’ve heard his training is also very good. I’ll certainly be trying it out in the future. I’ll look into Stephen Pierce, I’ve never heard of him so thanks for the recommendation! The moment I saw this website I was hooked to read the content. In 2009, I networked with internet marketers by simply going to a seminar. I met many people who had me on their lists. What inspired you to make your menu a drop down one? I understand networking if you have a tangible item to sell, but how can an affiliate marketer benefit from networking when they only need a computer? Seminars are a great way to network, I really think the best way is always face to face. I made a drop down menu because I always like that on other people’s pages. I personally find It makes it very simple to navigate and look at things that I wanted to look at. I think it’s vital for any business to network. You can learn from others mistakes and having people that hold you accountable is crucial to succeeding. Great question! 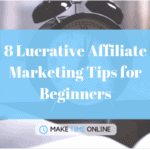 Starting an online business or affiliate marketing business is no different. Obviously you don’t need tangible items to sell but the principles of business are really the same . This is an excellent post! I totally agree in order to develop your business it’s very important to have good connections and meaningful relationships with like-minded people. Thanks for sharing useful tips on how to build your network. All the best! I think it is possibly THE most important skill to master in a business. How is your business coming along? You’re probably right. I’m happy with my business and that’s mostly because I have had support along the way from the WA community. Cheers! Let me know if I can help or if you have any questions! Awesome post and I think the quality and consistency is so important.Great information.I wish you lots of success. Consistency is vital to building your network and aiming for quality relationships is crucial, you are right!